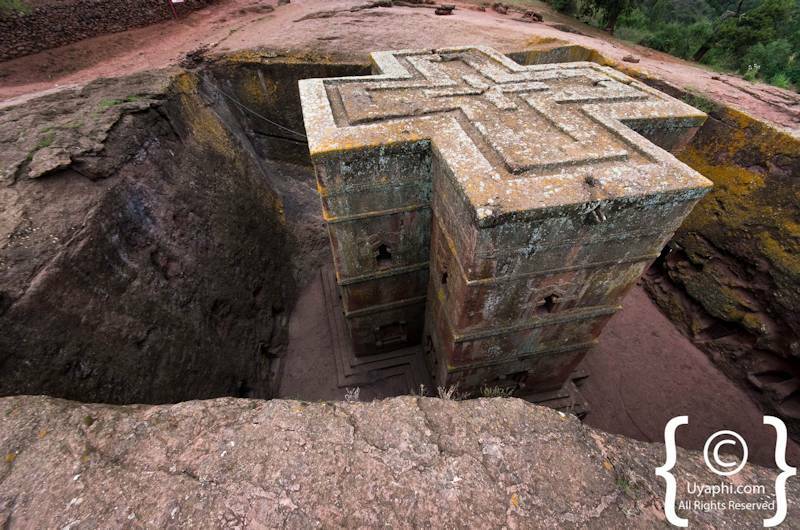 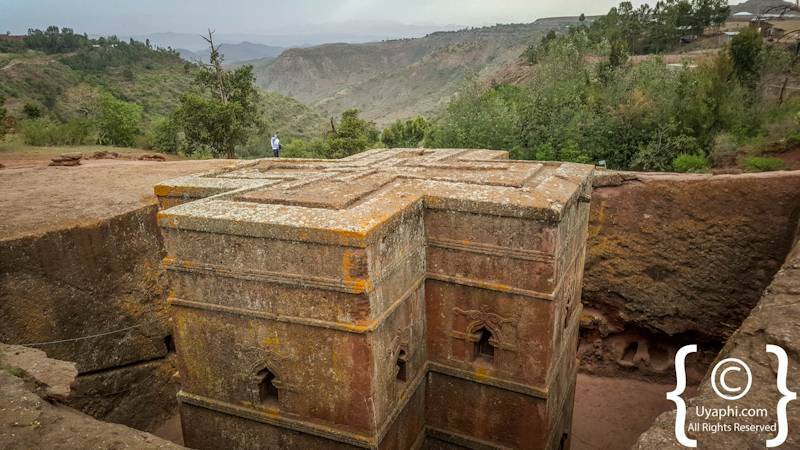 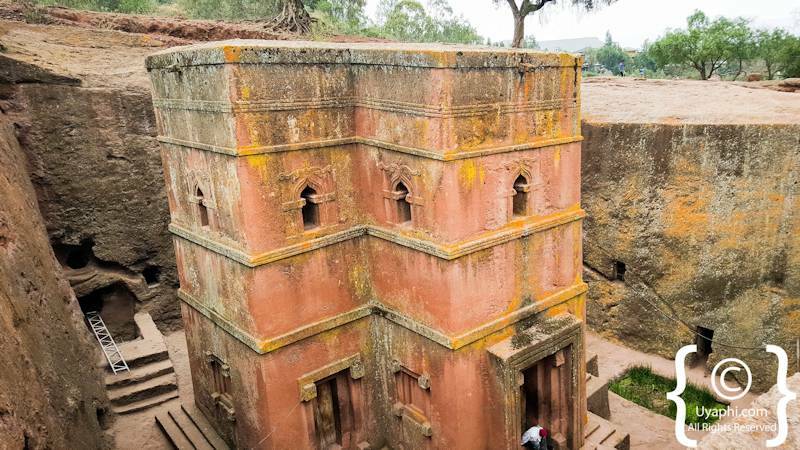 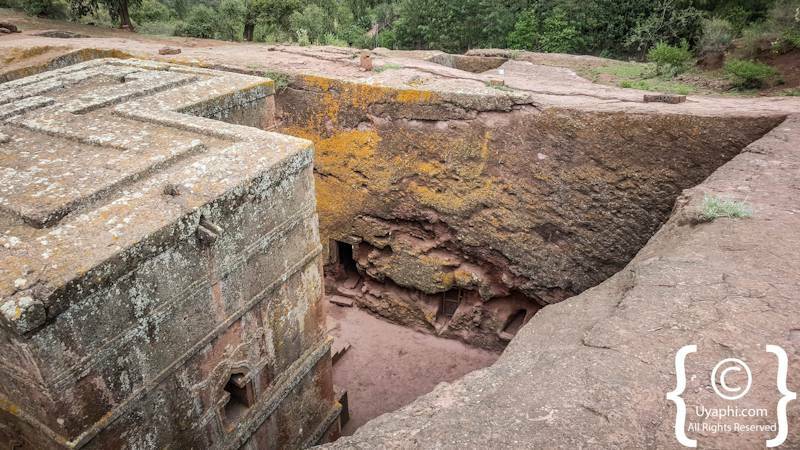 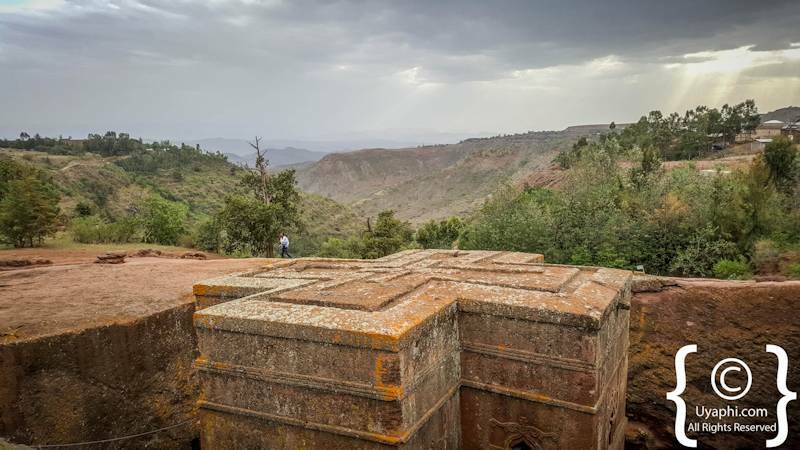 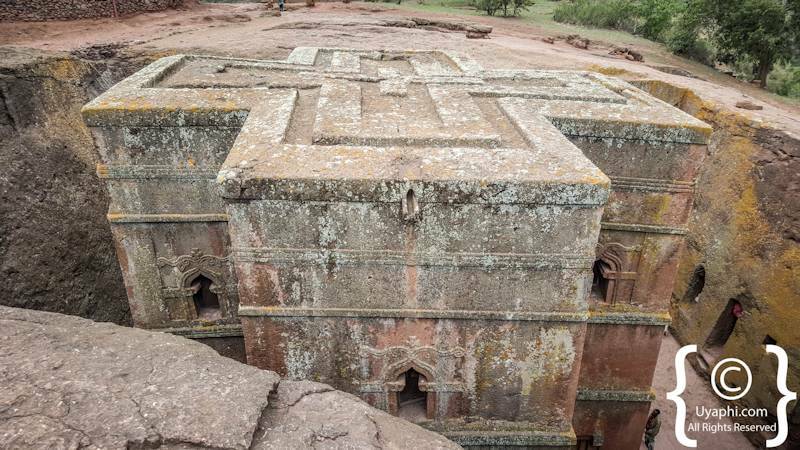 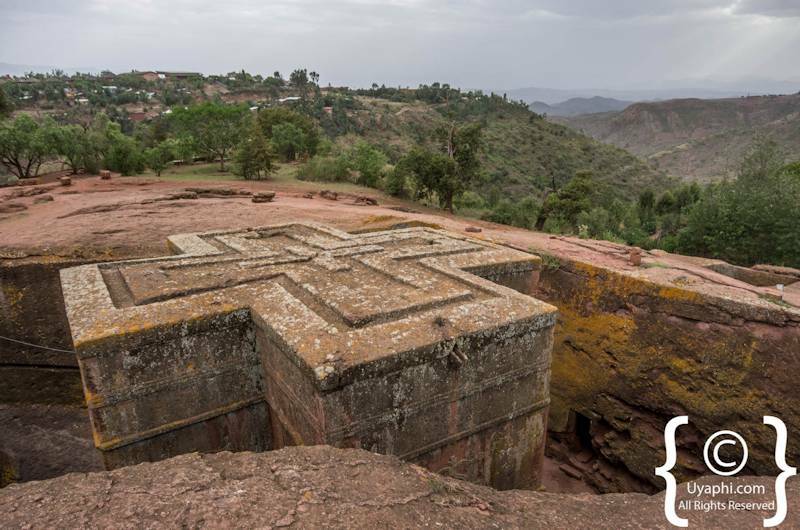 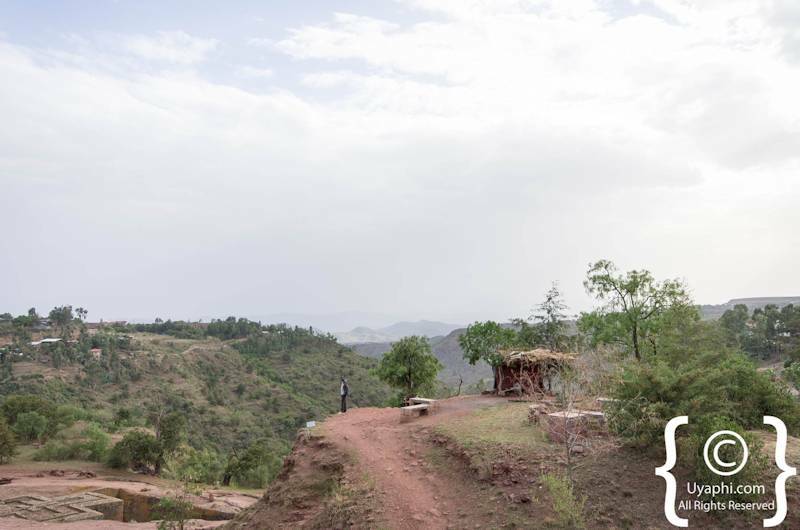 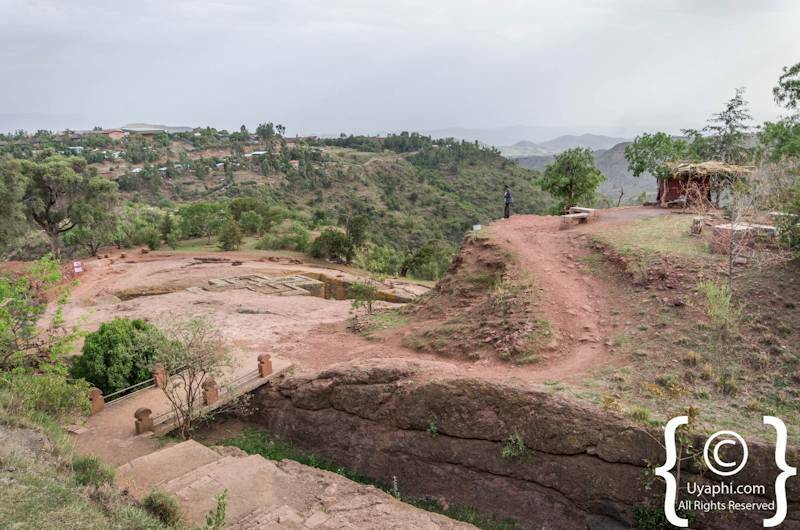 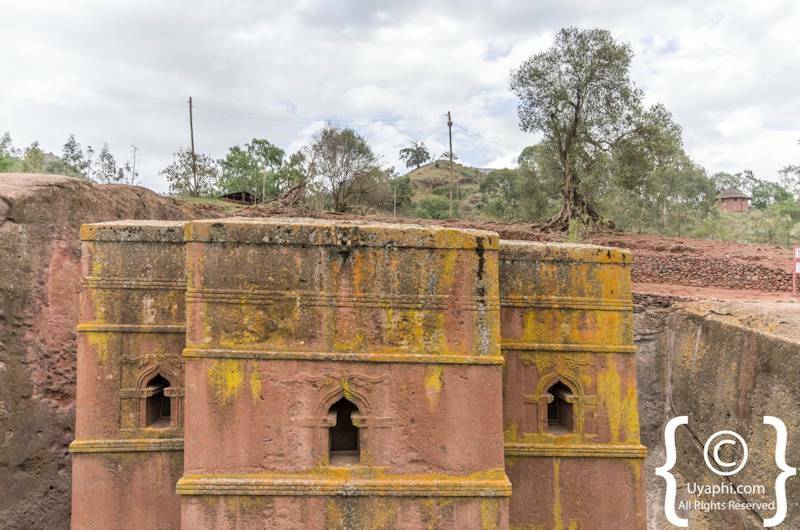 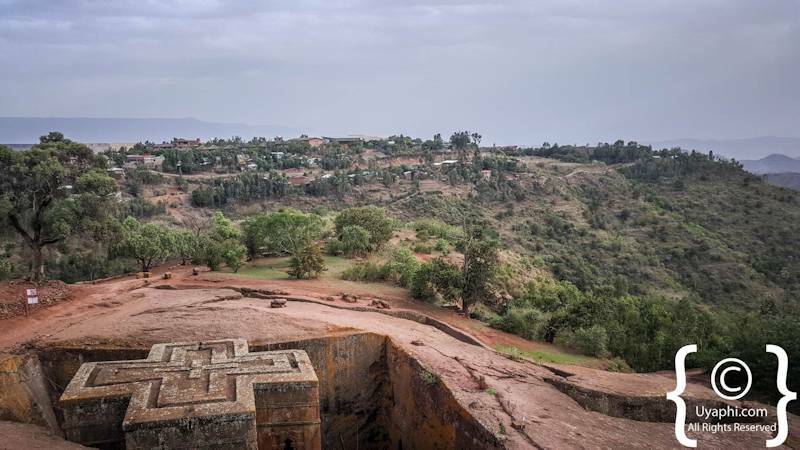 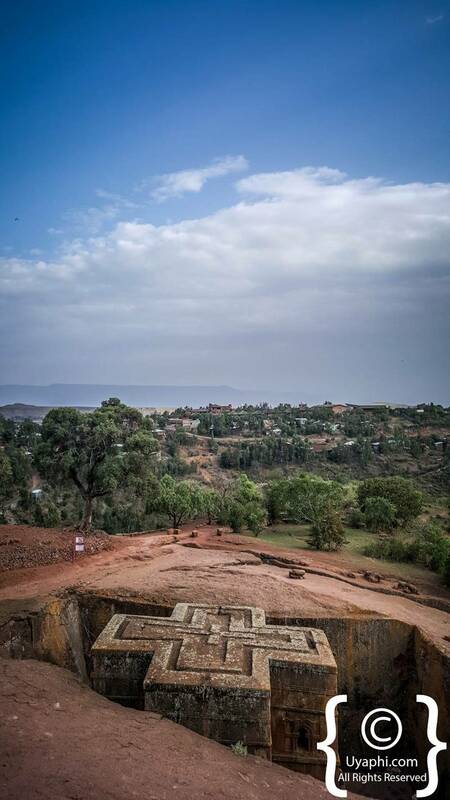 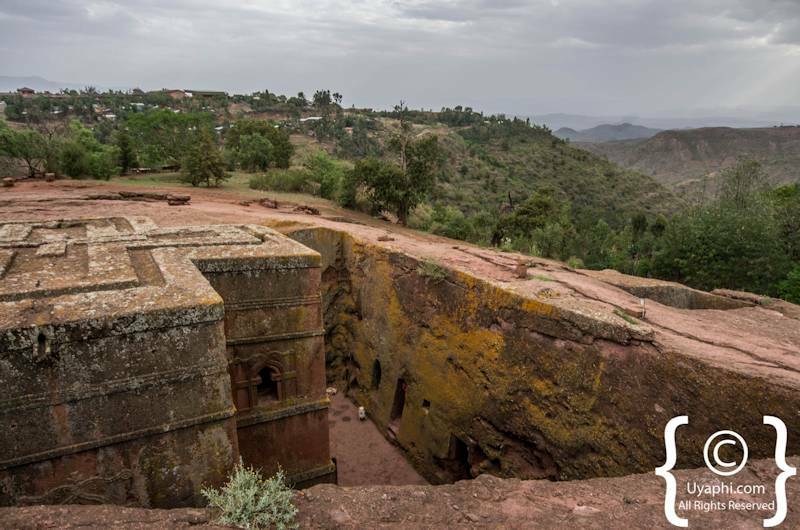 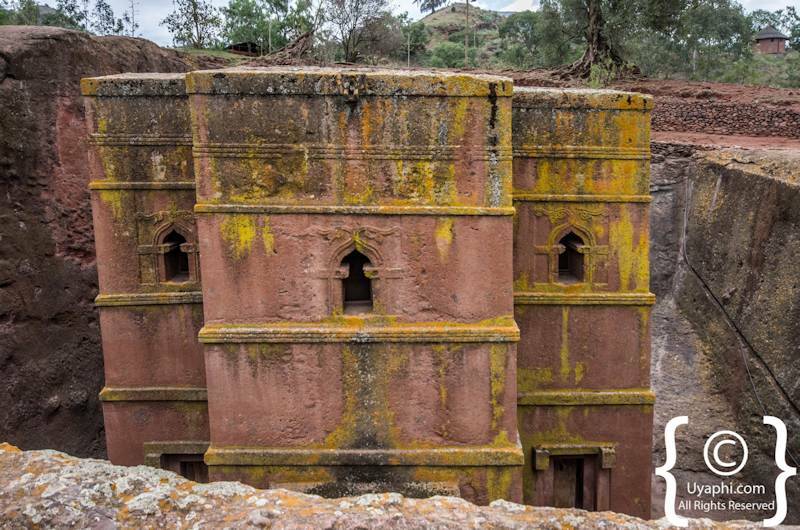 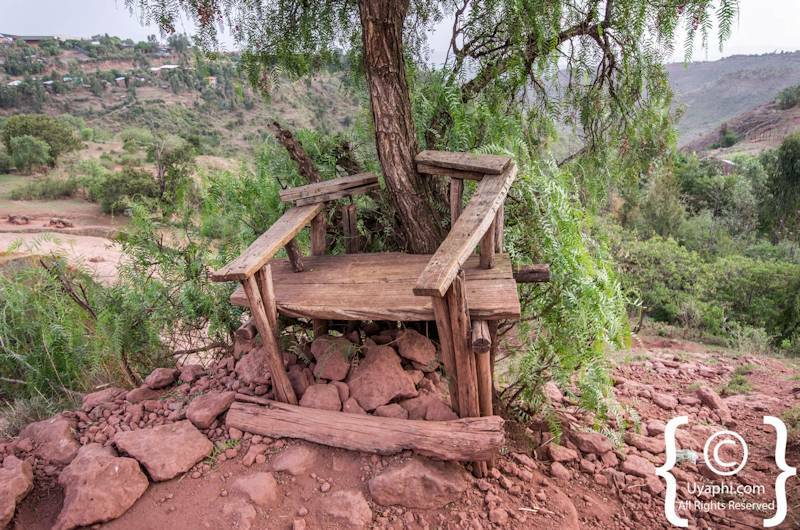 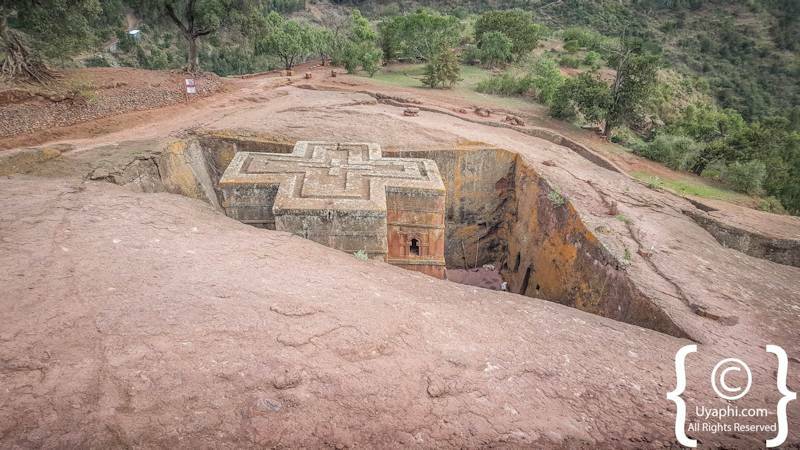 Bet Giyorgis is the most famous of Lalibela's rock-hewn churches and gets its name from the patron saint of Ethiopia, St George. 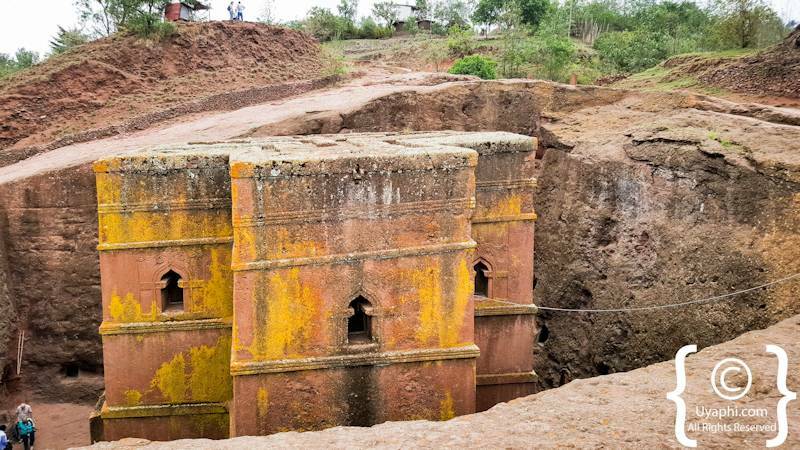 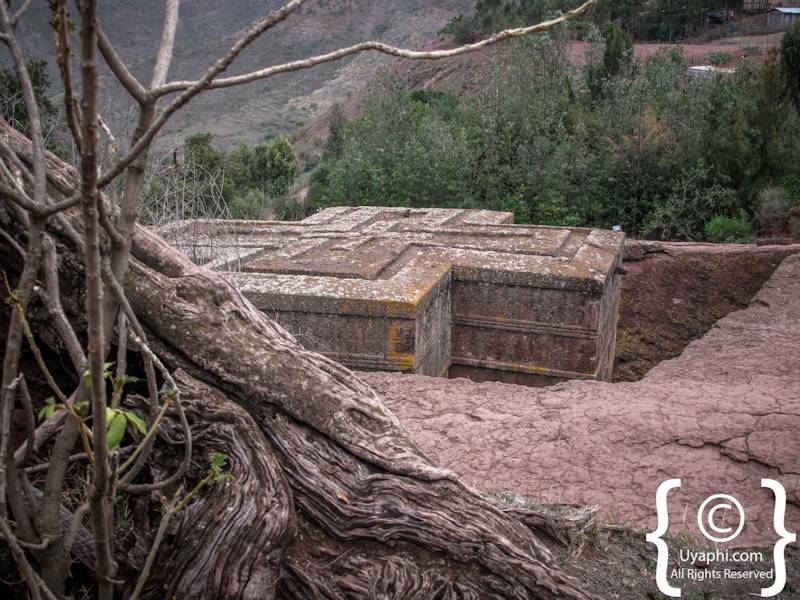 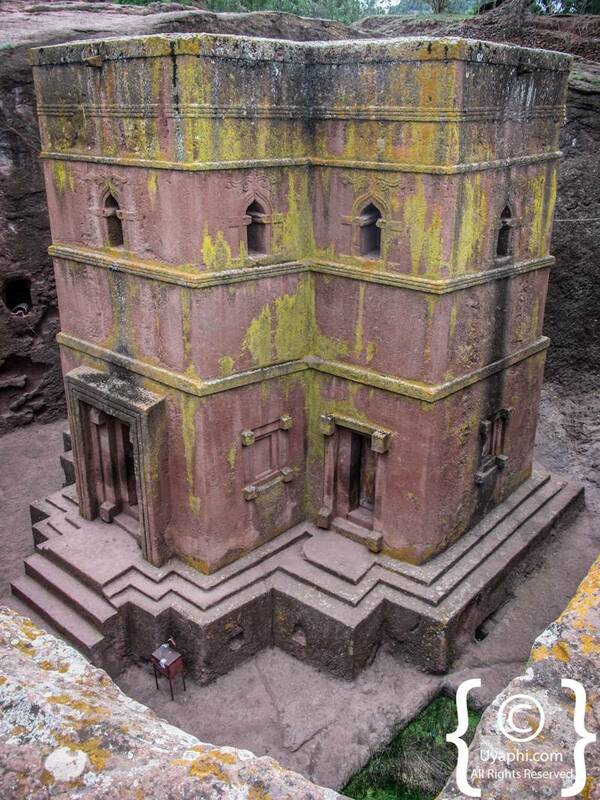 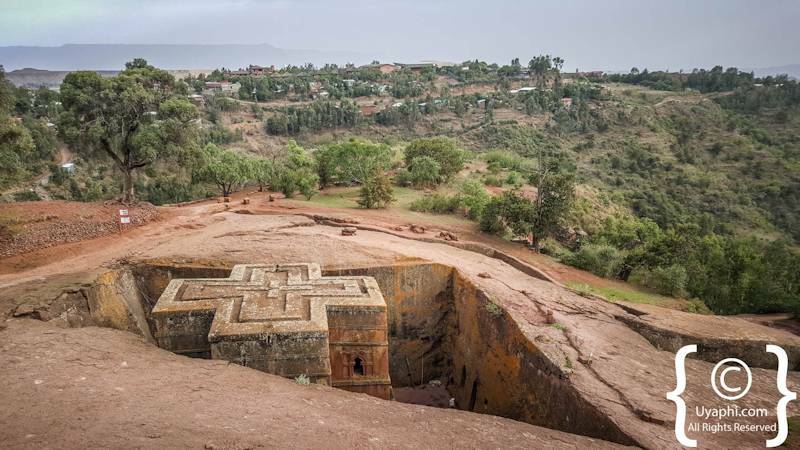 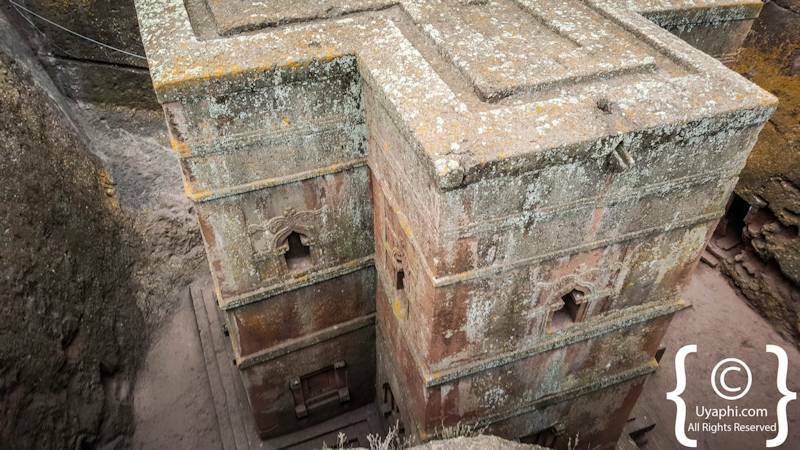 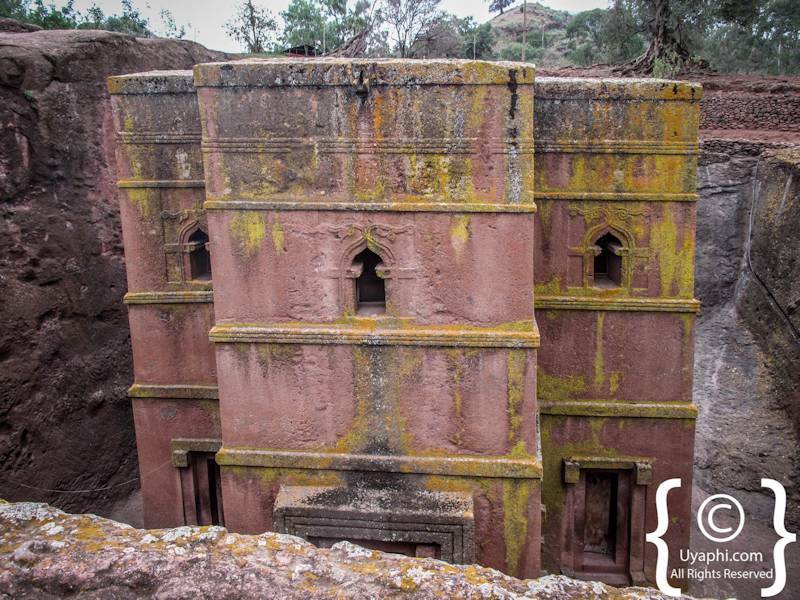 This church is the star amongst all the other churches and is the one pictured in most if not all publications on Lalibela. 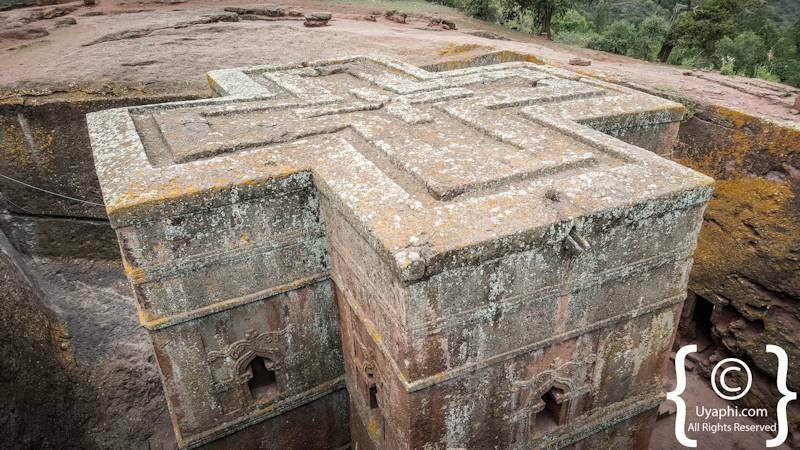 The church lies uncovered unlike all the other churches and is accessible by a short walk from either the northern or southern clusters (this church is often described as one of the "Eighth Wonder of the World"). 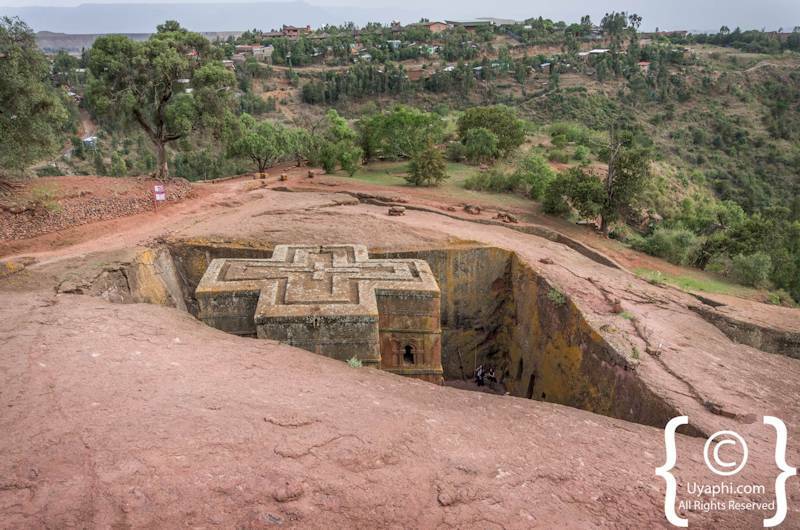 Bet Giyorgis Church is by far, and away the most scenic and a must visit for those selfies and general photographic opportunities. 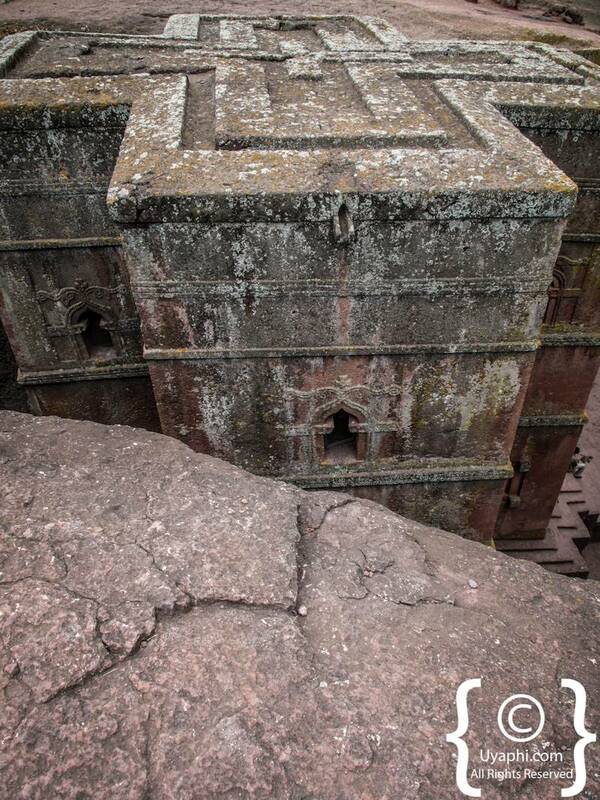 Just be careful not to get too close to the drop-off, it is a long way down. 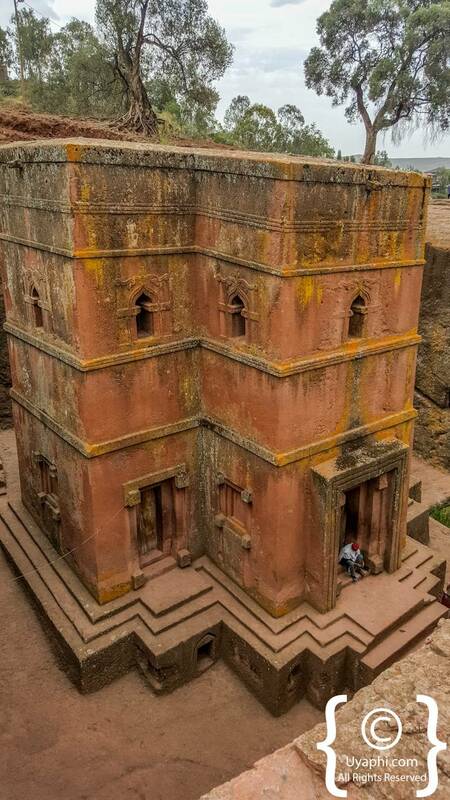 Just standing near the top of this church we counted 13 different mountain peaks disappearing into the horizon. 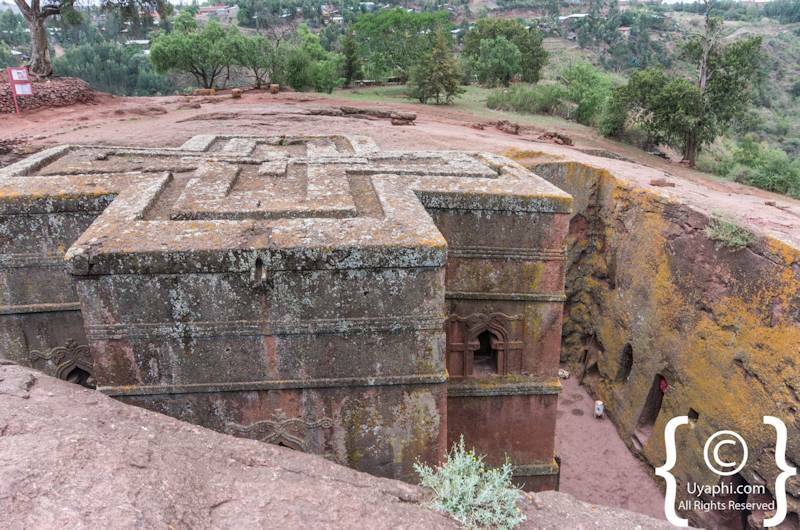 Bete Giyorgis is connected to the other rock-hewn churches through a series of elaborate tunnels. 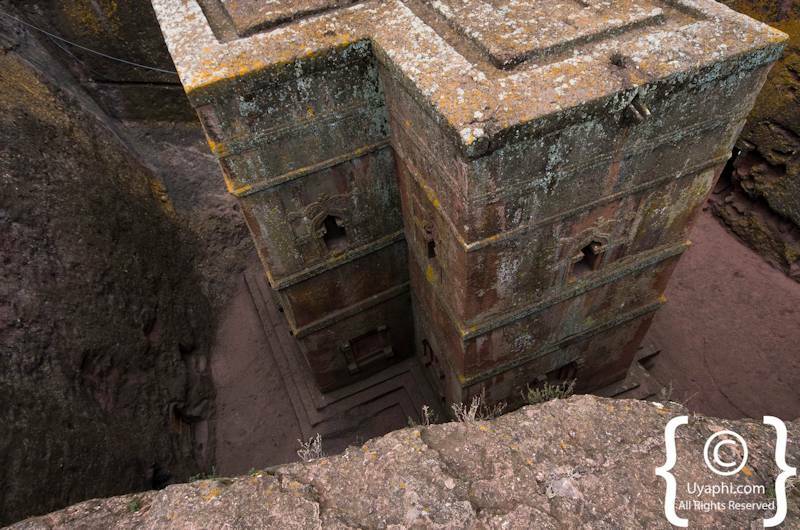 Unfortunately, these are not open to the public. 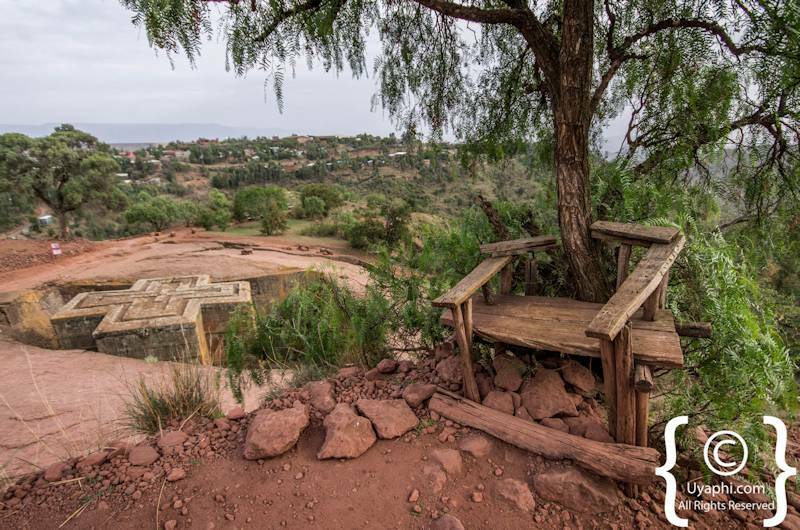 All photographs have been taken by us here at Uyaphi.com with the sole purpose of showcasing the church of Bet Giyorgis from our point of view.